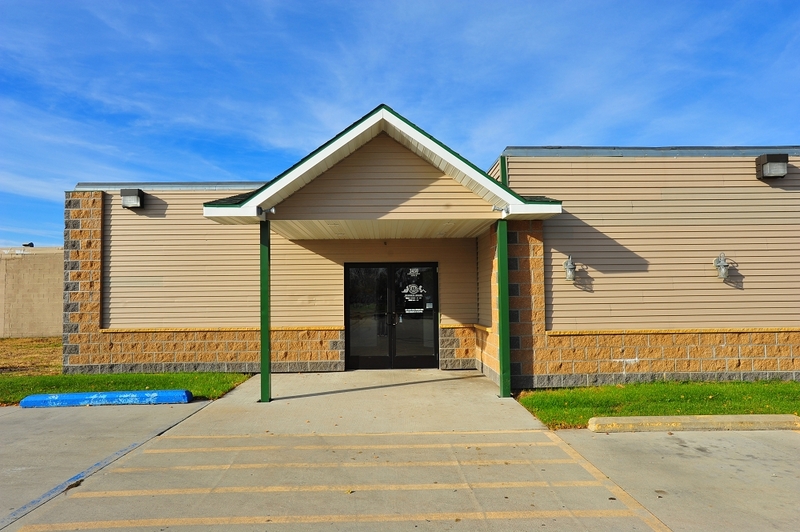 A unique opportunity to lease space at one of the best business locations in the Greater Grand Forks / East Grand Forks marketplace. This property is located on one of the busiest Highways in the state of North Dakota with easy access on and off of Highway 2. Significant 18-wheeler traffic hauling products for various industries: wind energy, agricultural, construction and gas and oil to name a few. Additionally, the property is in close proximity to the “new” UND Medical School and the Ralph Engelstad Hockey / Athletic Complex. 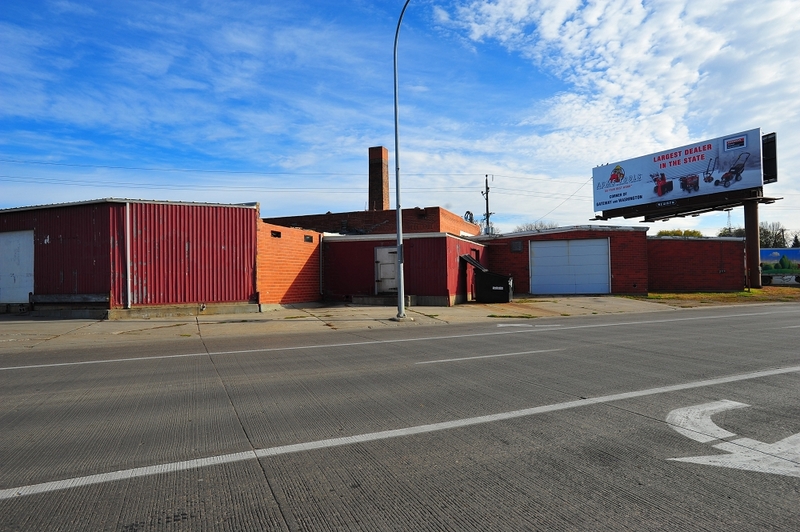 It is also situated next to JR Simplot Manufacturing and the Conta Luna Pasta Plant. The space shares the building with the popular North Side Café. There are currently 5,390 square feet available which can easily be expanded to 7,665 square feet if needed. 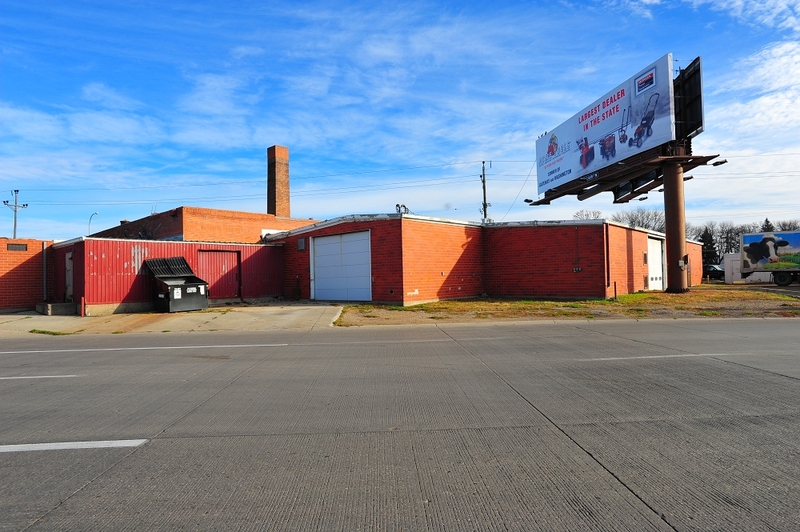 We also have an additional 6,500 square feet in that building for the right tenant with the right long term vision (14,165 total square footage). There is sufficient parking today and the parking footprint can be expanded considerably if needed. 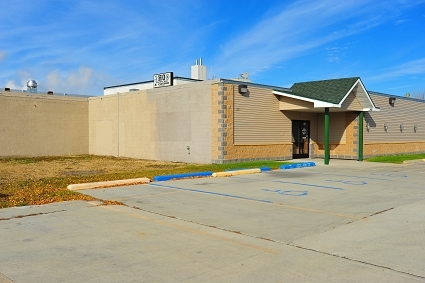 This is an unbelievable location that could accommodate many different types of business ideas that require high traffic, easy on and off the highway access, a large parking lot, expandable footprint, great visibility and proximity to a large, stable university student population all on top of a booming North Dakota business environment. If you are interested in learning more about this property,please contact Reindeer Property Management at 701-746-9665.
located at the corner of Highway 2 and Washington Avenue in Grand Forks, North Dakota. 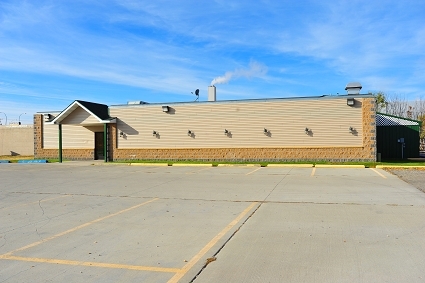 This location provides easy access to Interstate 29 which is only a few miles heading North or West out of the building parking lot. 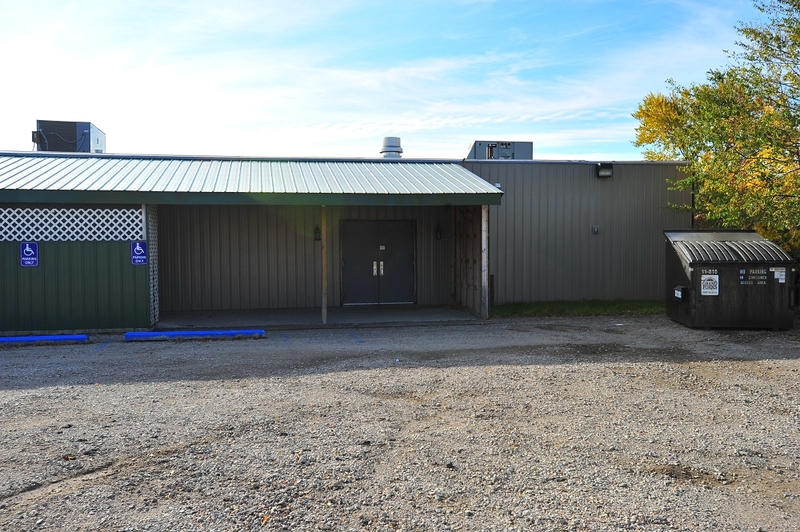 The available space has three separate garage door entrance locations, two offices and a bathroom. It also has the potential for three separate cold storage locations that combined would accommodate 1,340 square feet of refrigerated storage. 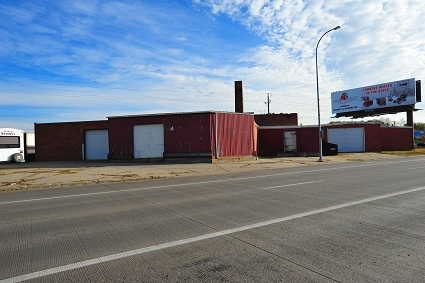 The total available space in this footprint is pproximately 7000 square feet, including the coolers, offices, bathroom, loading dock areas and West side garage door entrance space (not shown in this picture) and can accommodate additional indoor truck parking or storage. The overhead garage doors shown in this picture are 13’7” H x 14’ W (left side door) and 10’5” H x 16’ W (right side door). The truck bay through the left door (elevated dock) is 52’ D x 15’5” W designed to allow easy on and off loading of trailers and vans. This property could accommodate many different kinds of businesses, but would be ideal for a local, regional or national distribution faculty for a company needing a great location, easy access to major interstate highways, business offices, truck parking, external 210v / 120v electrical power outlets and product cold storage capabilities. There are eleven 208v/30a and twenty-four 120v/20a electrical connections. The location can accommodate electrical hook up for ten refrigerated route trucks with block heaters. This is an unbelievable location and facility for the right customer, and is now available for the first time in over 30 years. If you are interested in learning more about this property, please contact Reindeer Property Management at 1-701-746-9665.